On May 25, 1961, President John F. Kennedy announced to a special joint session of Congress the dramatic and ambitious goal of sending an American to the Moon and returning him safely to Earth by the end of that decade. President Kennedy’s confidence that this Cold War goal could be accomplished rested on the post-Sputnik decision by President Dwight D. Eisenhower to form the National Aeronautics and Space Administration and, in January 1960, to direct NASA to begin the development of what became the Saturn V rocket. This release of a collection of essays on Space Policy and the Constitution  commemorates President Kennedy’s decisive challenge 50 years ago to a generation of young Americans and the remarkable success of those young Americans in meeting that challenge. How notions of leadership have changed since Eisenhower and Kennedy! Immense difficulties now have been imposed on the Nation and NASA by the budgetary actions and inactions of the Bush and Obama Administrations between 2004 and 2012. Space policy gains relevance today comparable to 50 years ago as the dangers created by the absence of a coherent national space policy have been exacerbated by subsequent adverse events. Foremost among these events have been the Obama Administration’s and the Congress’s spending and debt spree, the continued aggressive rise of China, and, with the exception of operations of the Space Shuttle and International Space Station, the loss of focus and leadership within NASA headquarters. The bi-partisan, patriotic foundations of NASA underpinned the remarkable Cold War and scientific success of the Apollo Program in meeting the goal of “landing a man on the Moon and returning him safely to the Earth”. Those foundations gradually disappeared during the 1970s as geopolitical perspectives withered and NASA aged. For Presidents and the media, NASA’s activities became an occasional tragedy or budgetary distraction rather than the window to the future envisioned by Eisenhower, Kennedy and the Apollo generation. For Congress, rather than being viewed as a national necessity, NASA became a source of politically acceptable “pork barrel spending” in states and districts with NASA Centers, large contractors, or concentrations of sub-contractors. Neither taxpayers nor the Nation benefit significantly from this current, self-centered rationale for a space program. Is there a path forward for United States’ space policy? When a new President takes office in 2013, he or she should propose to Congress that we start space policy and its administration from scratch. A new agency, the National Space Exploration Administration (NSEA), should be charged with specifically enabling America’s and its partners’ exploration of deep space, inherently stimulating education, technology, and national focus. The existing component parts of NASA should be spread among other agencies with the only exception being activities related to U.S. obligations to its partners in the International Space Station (ISS). Changes in the Space Act of 1958, as amended, to accommodate this major reinvigoration of the implementation of space and aeronautical policy should be straightforward. Spin-off and reformulation of technically oriented agencies have precedents in both the original creation of NASA in 1958 by combining the National Advisory Committee on Aeronautics (NACA) and the Army Ballistic Missile Agency and the creation of the United States Air Force in 1947 from the Army Air Forces. The easiest change to make would be to move NASA Space Science activities into the National Science Foundation (NSF), exclusive of lunar and planetary exploration science but including space-based astronomical observatories. At the NSF, those activities can compete for support and funding with other science programs that are in the national interest to pursue. Spacecraft launch services can be procured from commercial, other government agencies, or international sources through case-by-case arrangements. With this transfer, the NSF would assume responsibility for the space science activities of the Goddard Space Flight Center and for the contract with Caltech to run the Jet Propulsion Laboratory. Also, in a similarly logical and straightforward way, NASA’s climate and other earth science research could become part of the National Oceanic and Atmospheric Administration (NOAA). NOAA could make cooperative arrangements with the NSF for use of the facilities and capabilities of the Goddard Space Flight Center related to development and operation of weather and other remote sensing satellites. Next, NASA aeronautical research and technology activities should be placed in a re-creation of NASA’s highly successful precursor, the NACA. Within this new-old agency, the Langley Research Center, Glenn Research Center, and Dryden Flight Research Center could be reconstituted as pure aeronautical research and technology laboratories as they were originally. The sadly, now largely redundant Ames Research Center should be auctioned to the highest domestic bidder as its land and facilities have significant value to nearby commercial enterprises. These actions would force, once again, consideration of aeronautical research and technology development as a critical but independent national objective of great economic and strategic importance. NASA itself would be downsized to accommodate these changes. It should sunset as an agency once the useful life of the International Space Station (ISS) has been reached. De-orbiting of the ISS will be necessary within the next 10 to 15 years due to escalating maintenance overhead, diminished research value, sustaining cost escalation, and potential Russian blackmail through escalating costs for U.S. access to space after retirement of the Space Shuttles. NASA itself should sunset two years after de-orbiting, leaving time to properly transfer responsibility for its archival scientific databases to the NSF, its engineering archives to the new exploration agency, and its remaining space artifacts to the Smithsonian National Air and Space Museum. Finally, with the recognition that a second Cold War exists, this time with China and its surrogates, the President and Congress elected in 2012 should create a new National Space Exploration Administration (NSEA). NSEA would be charged solely with the human exploration of deep space and the re-establishment and maintenance of American dominance as a space-faring nation. The new Agency’s responsibilities should include robotic exploration necessary to support its primary mission. 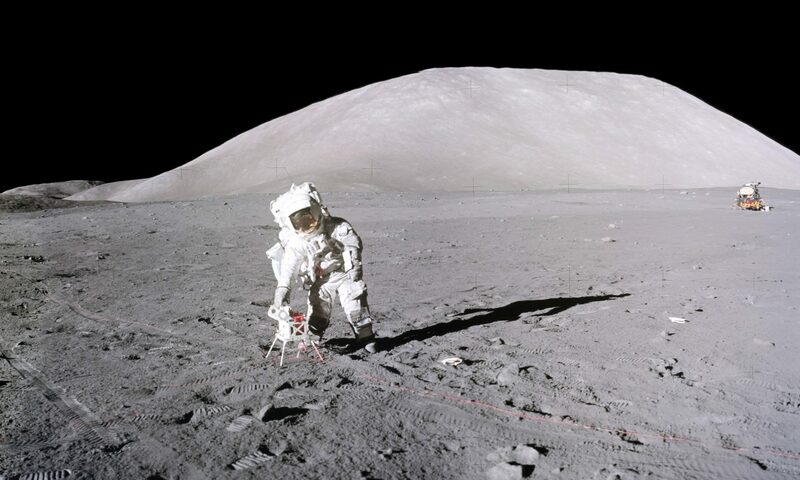 As did the Apollo Program, NSEA should include lunar and planetary science and resource identification as a major component of its human space exploration and development initiatives. To organize and manage the start-up of NSEA, experienced, successful, and enthusiastic engineering program and project managers should be recruited from industry, academia, and military and civilian government agencies. NSEA must be given full authority to retire or rehire former NASA employees as it sees fit and to access relevant exploration databases and archives. An almost totally new workforce must be hired and NSEA must have the authority to maintain an average employee age of less than 30. (NASA’s current workforce has an average age over 47.) Only with the imagination, motivation, stamina, and courage of young engineers, scientists, and managers can NSEA be successful in meeting its Cold War II national security goals. Within this workforce, NSEA should maintain a strong, internal engineering design capability independent of that capability in its stable of contractors. NSEA would assume responsibility for facilities and infrastructure at the Johnson Space Center (spacecraft, training, communications, and flight operations), Marshall Space Flight Center (launch vehicles), Stennis Space Center (rocket engine test), and Kennedy Space Center (launch operations). Through those Centers, NSEA would continue to support NASA’s operational obligations related to the International Space Station. NSEA should have the authority, however, to reduce as well as enhance the capital assets of those Centers as necessary to meet its overall mission. Enabling legislation for NSEA should include a provision that no new space exploration project can be re-authorized unless its annual appropriations have included a minimum 30% funding reserve for the years up to the project’s critical design review and through the time necessary to complete engineering and operational responses to that review. Nothing causes delays or raises costs of space projects more than having reserves that are inadequate to meet the demands of the inevitable unknown unknowns inherent in complex technical endeavors. Provide the People of the United States of America, as national security and economic interests demand, with the necessary infrastructure, entrepreneurial partnerships, and human and robotic operational capability to settle the Moon, utilize lunar resources, scientifically explore and settle Mars and other deep space destinations, and, if necessary, divert significant Earth-impacting objects. Is this drastic new course for national space policy and its implementation the best course to repair what is so clearly broken? Do we have a choice with Cold War II upon us, with American STEM education a shambles, with domestic engineering development and manufacturing disappearing, and with an ever-growing demand for American controlled, economically viable, clean energy? 1. Essays No. 7, No. 18, No. 20, No. 25, and No. 35 have been revised and collected together into a special booklet entitled Space Policy and the Constitution with a Foreword written by Michael D. Griffin, NASA Administrator (2005-2009). The present essay forms the Preface to that booklet, which is available from the “Downloads” page of the AUS website.